The LoveWorld Festival of Music and Arts is Christ-centered artistry of gospel extravaganza featuring the best of the best. It is a gospel-inspired event designed to unearth, develop and showcase creative talents. It is also a family oriented-festival with numerous activities including a Sports centre, Youth and Kids Zones, Seminars and a Mega-Carnival. Nothing like it in the world! The Love world Festival Of Music and Arts will give you the opportunity to experience the best of music, performing arts, crafts, multimedia and so much more. The LFMA main event takes place every evening at the main event LFMA stage on terrace 2 from 6pm – 10pm. The arena will be transformed into a global stage featuring the best in gospel-inspired performances in the believers loveworld nation.You will also get to see award winning acts such as Sinach, Eben, Martin Phike, Jahdiel, Ada, Israel Strong and much more as well as the best new acts carefully selected from numerous submissions from performance artists in our blessed ministry all around the world.Get set for premium dramatic, musical and dance theatrical presentations that will entertain, inspire and transport you. The LFMA Carnival is an extravaganza of colour and costume. With floats from over 40 countries from around the world. It will be the biggest Christian carnival event on the continent and in fact the world over at this time. LFMA carnival procession is a combination of themes, floats with each nation’s unique culture and character creating a sumptuous visual feast for the eyes!The previous LFMA Carnival provided festival attendees with an unforgettable experience of vibrant parades as well as a grand finale featuring the best floats on the last day of the festival. This year, get into LFMA carnival spirit and join the celebration with even bigger and better LFMA 2017 CARNIVAL! 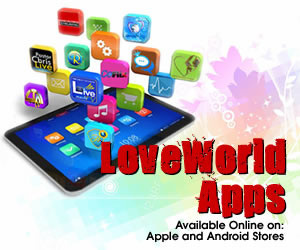 The LFMA is an excellent opportunity for your business or organisation to connect with consumers and potential customers from mid to upper LSMs.As an exhibitor at the LoveWorld Festival of Music and Arts you will have access to:The LFMA’s daily visitors giving you a potential of thousands of business leads wide choice of packages that offer excellent value for money. These can be further tailored to suit your requirements and to best showcase your business or service offeringBranding opportunities should you choose to own a particular element of the festivalWe will send out a mail blast to pre-registered attendees to bring attention to your stand and any specials / prizes you may wish to offer to visitorsA captive audience for consumer awareness drivesCLICK HERE to visit our exhibitor’s page for more information! LFMA VIRTUAL REALITY CORNER:For a break from reality, take a turn at the LFMA Virtual Reality Corner featuring a range of VR games and experiences.You’re in for an unforgettable encounter as you put on our virtual headsets and take an electrifying journey into a virtual world! The LFMA Kiddies centre is sure to keep your children entertained with tons of super-fun. They can get CREATIVE with crafts such as painting and building with play dough or ACTIVE with games, jungles gyms and jumping castles. Included in the endless list of activities are story-telling, sing-a-longs, kids’ dance performances, karaoke and so much more.To give parents peace of mind while they enjoy their time at the festival, there will be a free care centre running throughout the day for children 2 years old and upwards. Check out the ticketing section for our discounted children’s and family rates! LFMA Youth Zone features activities specially tailored for teenagers and young adults – from paint ball to video game arcades, or simply “hanging out” and enjoying the entertainment.If you’re a teenager, your experience at the LFMA Youth center is sure to be one where great memories are created as you bond with pals and make new ones.PLUS! Bring along your friends and get special gifts through raffle drawsRemember, you do not have to submit your visa application in person. You can ask anyone else (such as a travel agent or courier services or another family member) to submit the application on your behalf. Let the LFMA Orchestra regale you with glorious symphonies!Listen to a range of musical renditions from modern interpretations of gospel to beautiful classics; all performed by a world-class musical ensemble. Enjoy a harmonious mix of sounds as the orchestra accompanies various artists from a variety of musical genres.Outside the main venue, you can enjoy ongoing live orchestral performances in a beautiful surrounding. With inspiring topics ranging from business and career and life-skills to health, fitness and self-improvement, the LFMA will feature thought-provoking and life-enriching presentations by seasoned experts and life coaches.Whether it’s learning the ins and outs of running a successful enterprise and tips to help you up the career ladder; or insights on filmmaking, photography and music, there’s something for everyone in this series of informative and interactive seminars and discussions.A comprehensive schedule covering all 4 days of the festival will be made available to ensure that you don’t miss out on the topic that is of interest to you.CLICK HERE to register for your choice seminar. The Loveworld Festival of Music and Art Movie Theatre affords amateur and professional filmmakers from around the world the opportunity to premier and showcase faith – based motion pictures in the LFMA Movie Theatres.With film genres ranging from comedy to drama and action, there is plenty in store for 2017 loveworld festival attendees. This years’ LFMA Movie theatre will feature more productions in both long and short-formats.LFMA movie theater runs daily throughout the 4 days of the festival. Your LFMA entry ticket grants you free access to as many movies as you can fit in. Get inspiring and uplifting Christian books, DVDs and CDs, gospel music from your favourite artists at never-to-be repeated pricesTake time out to browse through our extensive selection. Your children will love the book reading and story-telling sessions in our childrens’ books sections.Visit the super bookshop daily for exciting specials and giveaways. For fun with a bit of exercise, the LFMA Sports Centre provides endless recreational sports that will get you active!You’ll also have the opportunity to compete with your friends and other sports centre visitors.You wont be short of something to do as you try your hand at soccer, netball, table tennis, cricket, skating and so much more! Want to ride the roller coaster or test your staying power on the mechanical bull? Do you fancy an exhilarating free-fall or do you prefer to play it safe on the fun slide or carousel?The LFMA Theme Park has plenty of fun, thrills…and spills for the young and old; the brave and the tender-hearted. The LFMA Theme Park features games and rides! A non-stop variety show featuring sessions with the best of budding talent vocal artists from various music genres, music instrumentalists as well as spoken word, dance choreography and lots of stand up comedy.Are you talented with any of the Arts? The LFMA Special & Comedy center sessions are a unique opportunity to be seen and heard. One outstanding act will be selected daily to perform on the last Sunday of the festival. Get ready for a Holy Ghost party at the LoveWorld Festival of Music & Arts (LFMA) scheduled this December in Lagos Nigeria.